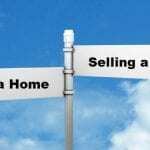 When it comes to flipping a house, the first thing you should consider is whether the house you are going to flip is a good deal or not. You need to figure out beforehand if the property will help you make a decent profit. This is where the 70% rule takes place. What really is the 70% rule? You need to do a simple computation. All you need to do is to add the price of the property to the cost of rehab. You are going to make a good deal if the sum is less than 70% of the after repair value of the property. House flipping is a risky business. If you are in the business of house flipping, you need to know, understand, and embrace the risks that come along. You can somehow minimize the risk by deliberately making your choices. Come up with a tested and proven effective house flipping strategy to minimize the risk and maximize your profit. 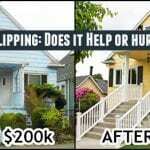 If you take the time to know the ins and outs of the house flipping business, you will be able to know the secrets to finding great deals and at the same time be able to minimize the risks. Aside from choosing the best property, you need to create an effective exit strategy. 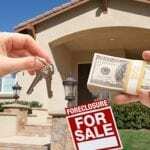 By knowing the associated risk as well as having a solid plan of action, you will be able to keep your house flipping business profitable and be on top of your game at all times. A lot of investors focus on the amount of money they make that they ended up with a substandard flipping project. If you take for granted the value of your rehab, then you will not be able to ask for market value on the property you sell. Keep in mind that your buyers are looking for a quality house. If you don’t give them high-quality rehab, then they will not make a good offer on your flip. On the other hand, you don’t want to over rehab the property because if you do so, you go over your budget, which will then increase the asking price. However, a high-quality rehab can significantly bring up the market value of the property. 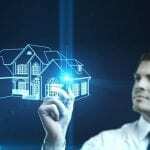 If you are new in the house flipping business, you will surely have a hard time computing your rehab cost. You will be prone to making mistakes, but as you go along you will be able to master the ins and outs of the house flipping business. Before you venture in house flipping business, you have to make sure that you come well-prepared. 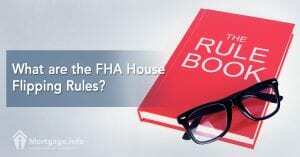 There is no shortcut to house flipping success. You need to devote your time learning the ins and outs of house flipping. Invest in your real estate education. Read books, participate in various real estate events, and find a mentor who can help and guide you through the decisions you make. The struggle is real if you are just starting in the business, but you will eventually reap the fruit of your labor.